HARP is a government-backed program designed to help homeowners who without it might find their mortgage refinance applications declined. You’re especially likely to benefit if you have “negative equity” (the market value of your home is less than the balance left on your mortgage) or if you have only a small amount of positive equity. It’s also important to know that there are no minimum credit score thresholds. Even so, not everyone qualifies for help through the program. Read on to see if you’re eligible, or take a shortcut by filling out our form. The Home Affordable Refinance Program (HARP), also known as the Obama Refinance Program, was set up by the federal government in 2009 in response to the widespread collapse in home prices that had occurred as a result of the 2007-08 credit crunch. Lower home prices saw millions of homeowners plunged into negative equity (a.k.a. having an “underwater” or “upside down” mortgage), and that stopped them from reducing their monthly outgoings by refinancing to lower mortgage rates. Since then, home prices have risen in many areas, but the recovery has been geographically patchy. And as recently as the second quarter of 2016, 3.6 million Americans still had underwater mortgages. To date, the program has helped more than 3.4 million homeowners. In August 2016, the Federal Housing Finance Agency (FHFA) announced it was working with Freddie Mac and Fannie Mae to develop a new streamlined refinance offering, which is due to be introduced in October 2017. In the meantime, the current version of HARP will continue to be available up until September 30, 2017. At the time it made that announcement, the FHFA reckoned around 300,000 homeowners remain eligible to refinance under HARP, but are yet to do so. Who is eligible for a HARP mortgage? Even though it’s easy for many to get approved for a HARP loan, there are still a few hoops you’ll need to jump through. In particular, your existing mortgage must be owned or guaranteed by either Freddie Mac or Fannie Mae. There’s a good chance yours is, even if you think it isn’t. That’s because your original lender might have sold it on without your noticing. And the company to which you make monthly payments is no guide to your mortgage’s ultimate ownership. Luckily, you can check in minutes whether yours is now owned or guaranteed by one of these enterprises using the simple online lookup tools on the Freddie and Fannie websites. Be sure to use both lookup tools. Don’t despair if you have a mortgage that’s ineligible for help under HARP. VA, USDA, FHA and jumbo loans can often be refinanced under other streamline programs. Your existing mortgage must have been originated on or before May 31, 2009. Don’t worry if you’re unsure about your date: it will appear when you use those Fannie and Freddie lookup tools. Your LTV must be greater or equal to 80 percent. LTV stands for loan-to-value ratio, and you can calculate yours by dividing the current balance(s) on your mortgage(s) by the current market value of your home. Hate math? Use the LTV calculator on Fannie Mae’s website. This rule excludes homeowners who have lots of equity, because a HARP refinance is intended to help those with little or none. There’s no top limit on the amount by which your mortgage balance exceeds the value of your home. You must be current on your mortgage, and not have been more than 30 days late within the last six months. And you can have been 30+ days late no more than once in the last year. If that’s a problem, get and stay current as soon as you can so you become eligible. 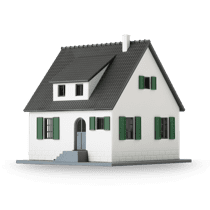 The home you’re refinancing must be one of the following: your main residence (condos, coops or manufactured homes are usually fine), OR a second home (such as a vacation home) that’s a single-unit dwelling, OR an investment property that comprises between one and four residential units. It’s important to recognize that, while the government will guarantee your refinanced loan, you’ll still be borrowing from a private lender. And that lender is entitled to apply stricter criteria than are laid down in the HARP guidelines (PDF from Freddie Mac), which are noticeably easygoing. However, that may not be an insurmountable problem. 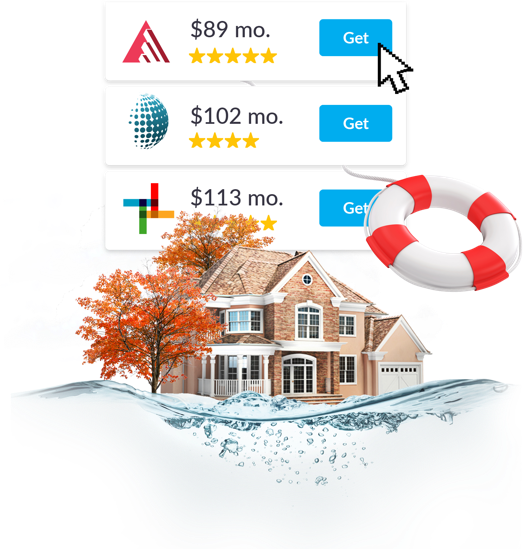 You can undertake a HARP refinance with any lender that participates in the Home Affordable Refinance Program, so if yours is blocking your way forward, shop around for one that cuts you more slack. Of course, you’ll probably want to talk to your existing lender early on in the process. During that call, ask whether it participates in the HARP program. If it does, explore some other questions. Does it think you and your home are eligible? If not, why not? Does it impose its own rules over and above HARP’s official guidelines? If so, what are they? What refinance rate would it offer you? However good that rate sounds, and however happy you are with the amount you could save each month, still shop around for competitive quotes. You might find even lower rates and even bigger savings. Don’t give up if some lenders (including your current one) put up barriers. Keep looking, and there’s a good chance you’ll find one that will help. How much can you save with HARP? You can find online many estimates of how much a HARP refinance could save you. Some suggest $200 a month on average. Others estimate savings of $60,000 or $70,000 over the life of a 30-year loan. But how much you personally will save won’t become clear until you’ve found the best possible deal, and compared your new monthly payment with your existing one. In the meantime, you could try modeling some scenarios using the LendingTree refinance calculator and refinance payment calculator. Naturally, if you refinance an adjustable-rate mortgage (ARM) to a fixed-rate one, or if you refinance to a 15-year or other shorter term loan (both of which are possible under HARP guidelines), you may actually pay more each month – while likely reducing the overall cost of your borrowing. But however you choose to use the savings you make with a new HARP mortgage, you’re almost bound to benefit a great deal.